This pin is vintage 1950s. The name “Rei Tim Winkl” is a village in the German highlands where tourists visit and mountain roads await. No doubt this couple depicted a summer only activity. 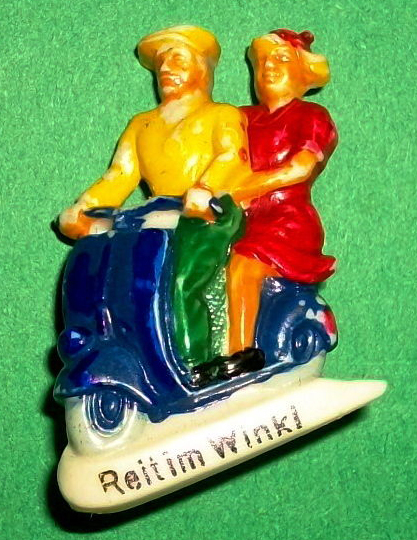 This entry was posted in Jewelry and tagged brooch, germany, lambretta, pin, rim tim winkl, scooter, souvenir, vespa by Tracy. Bookmark the permalink.